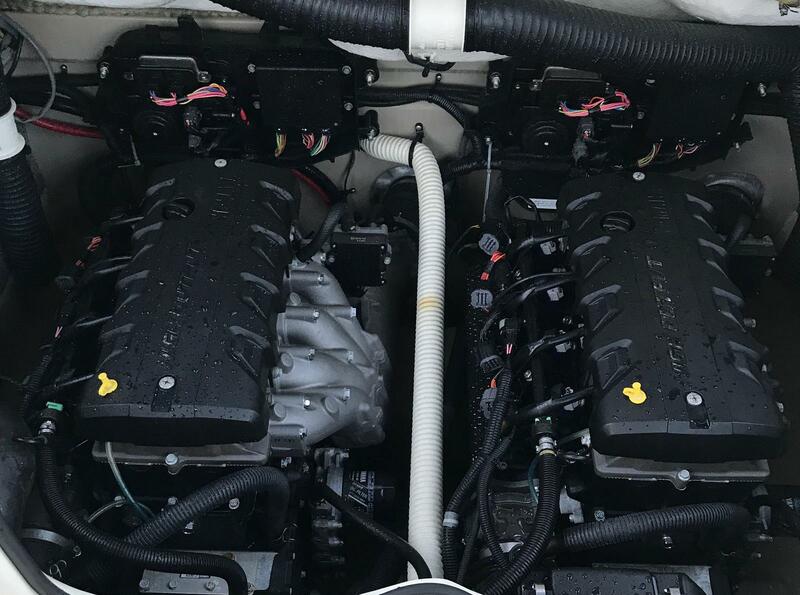 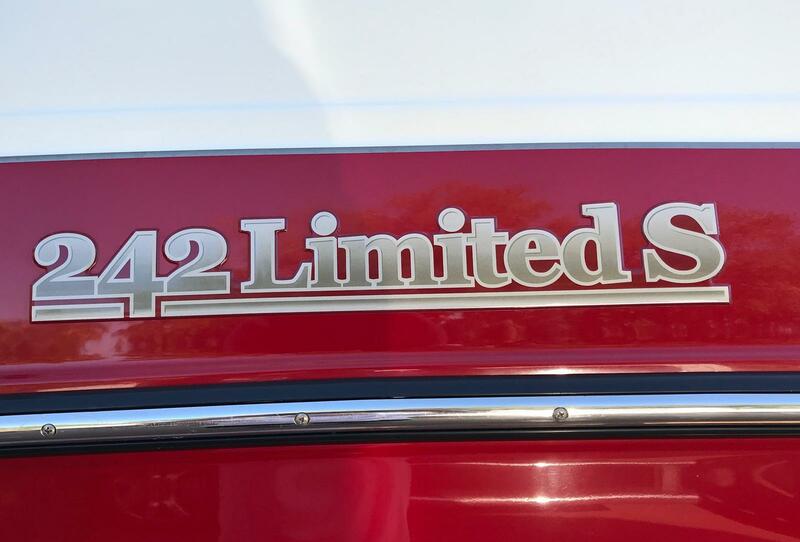 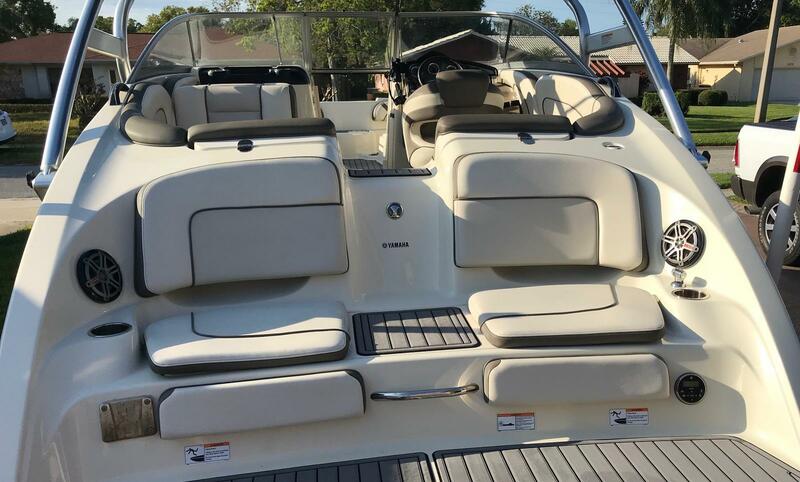 2014 Yamaha 242 Limited S, powered by twin 1.8 liter High Output Yamaha Jet Engines. 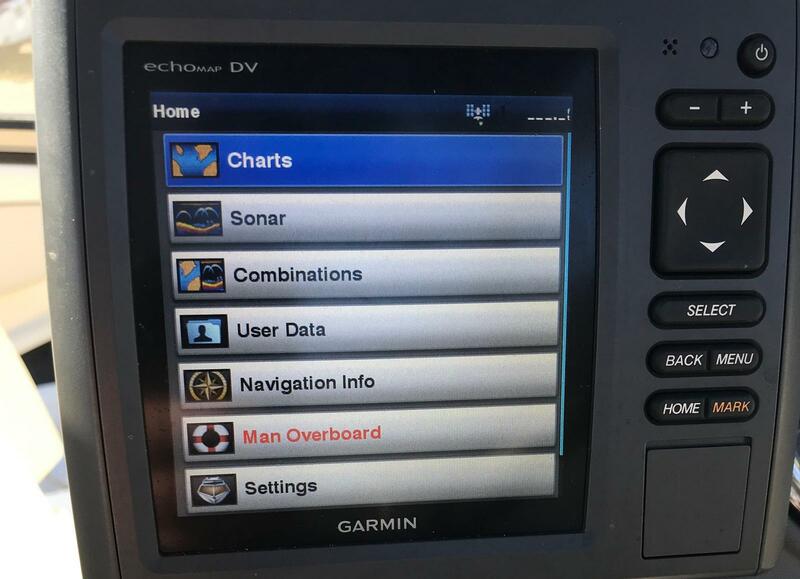 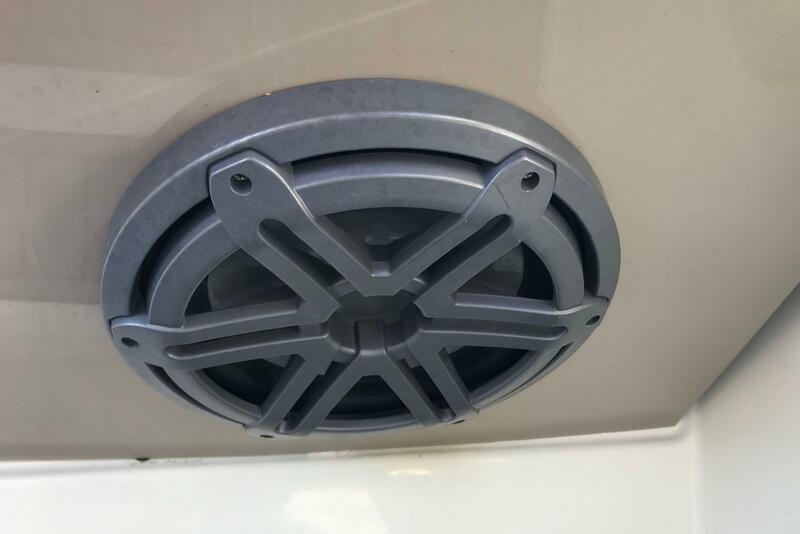 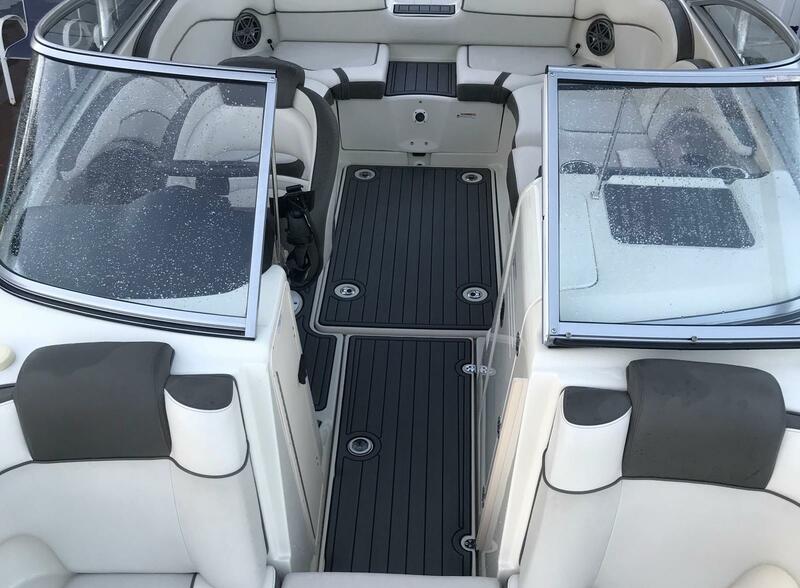 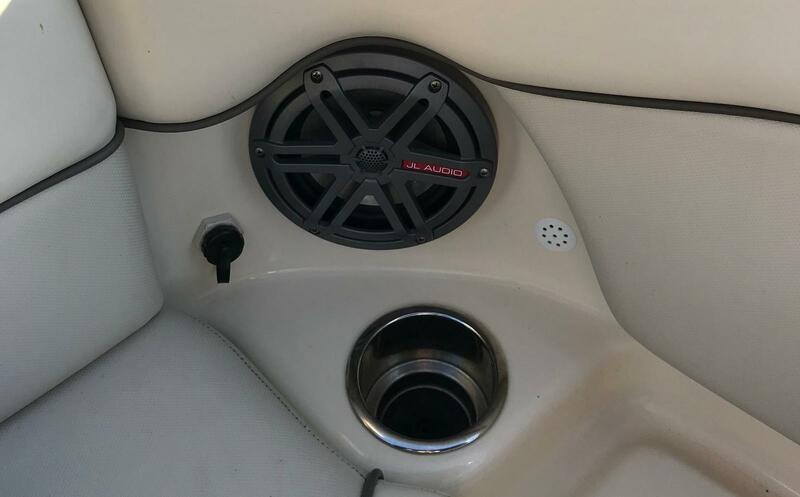 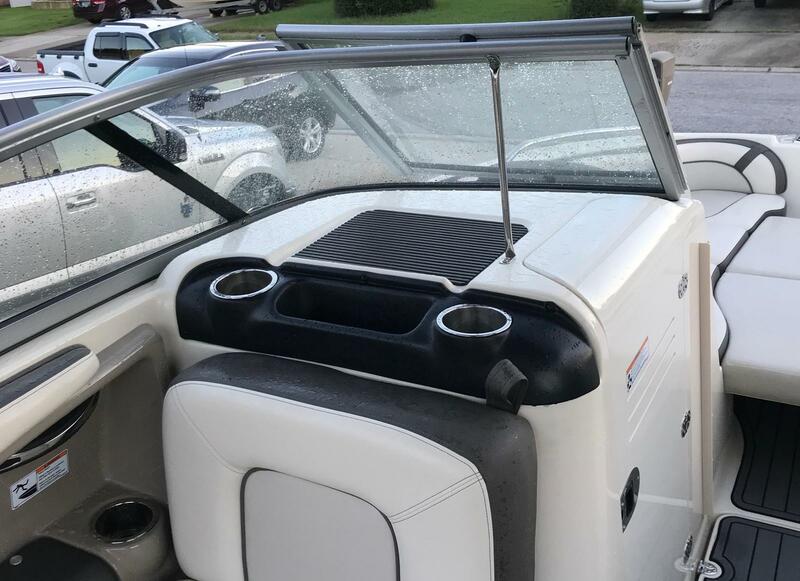 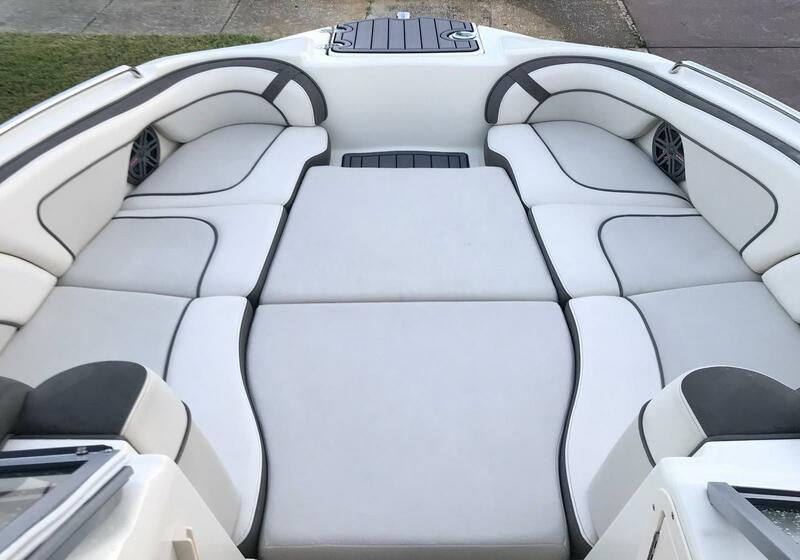 Features include: wakeboard tower, marine mat decking throughout, removable table with mounts at cockpit and stern, bow filler cushions, full cover, enclosed head, tilt steering, docking lights, bow and stern ladders, freshwater shower, JL Audio stereo system, Garmin GPS/fishfinder. 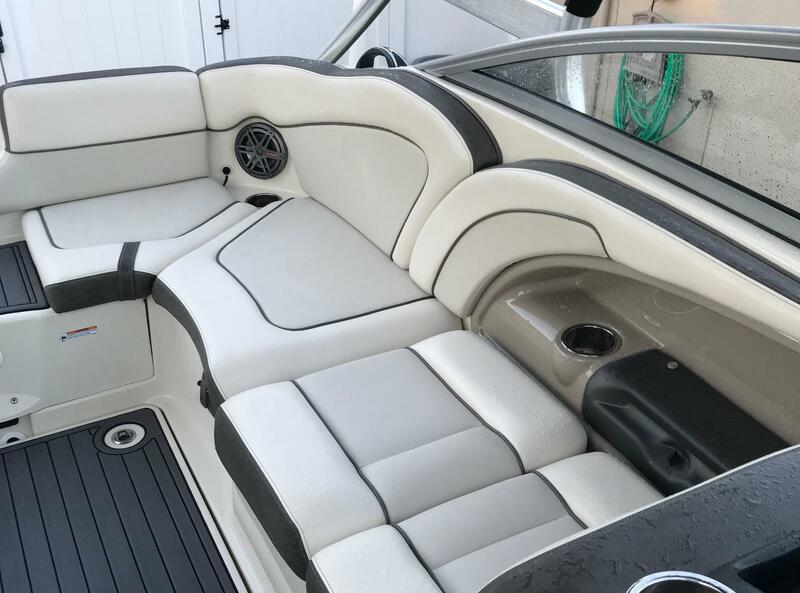 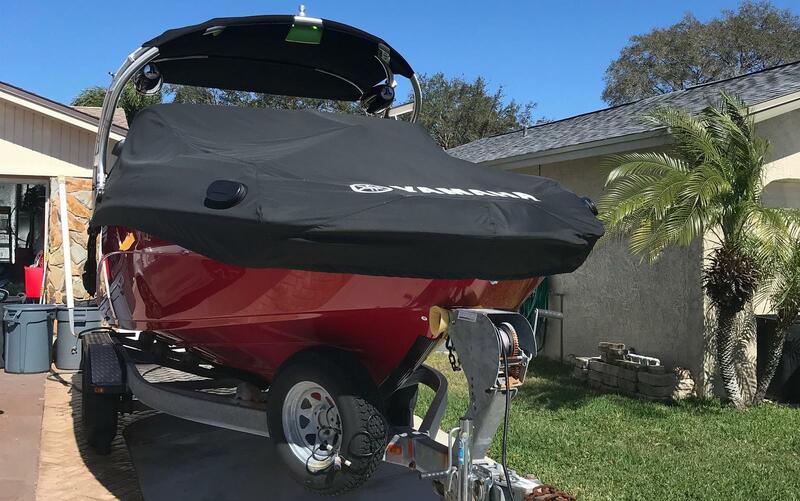 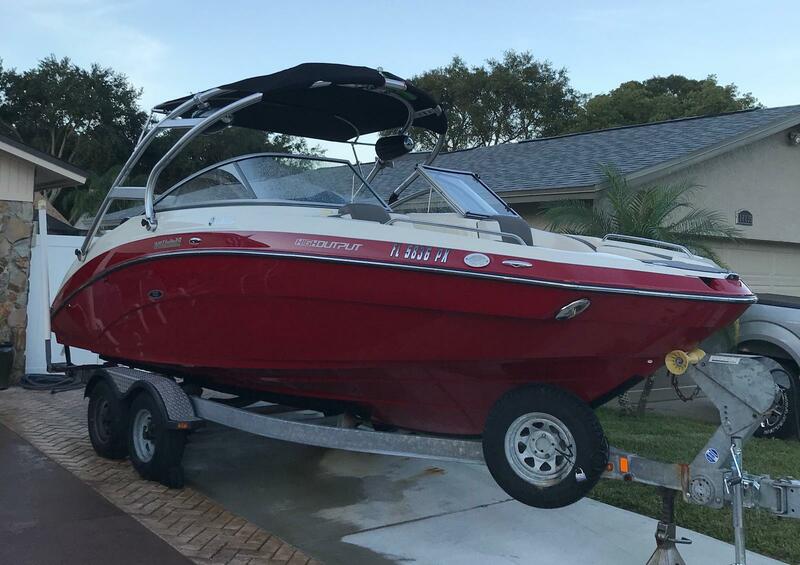 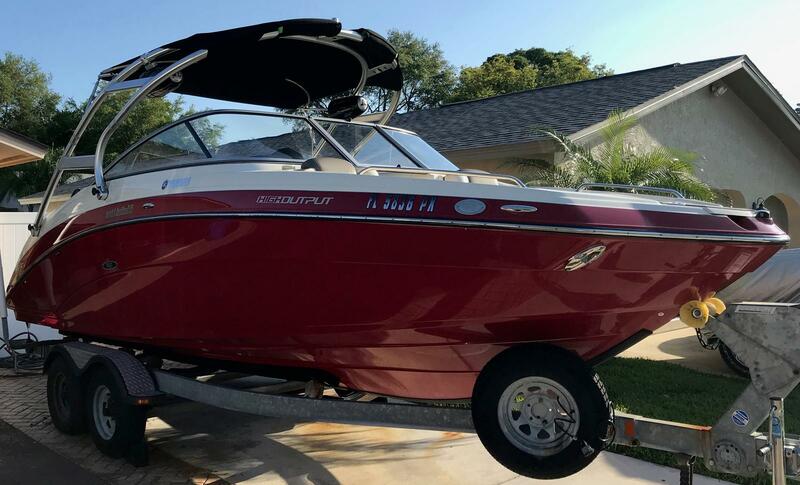 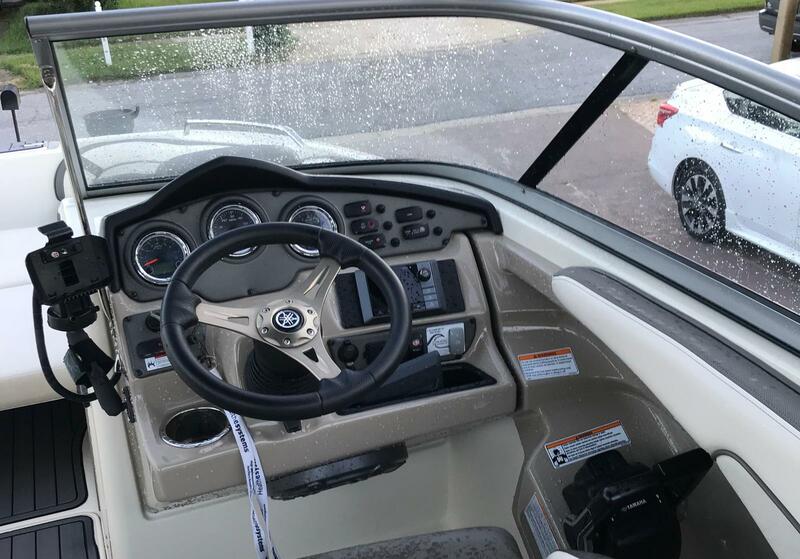 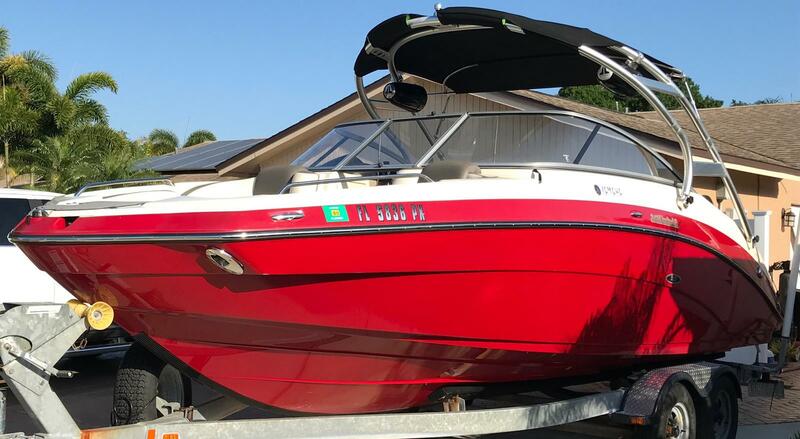 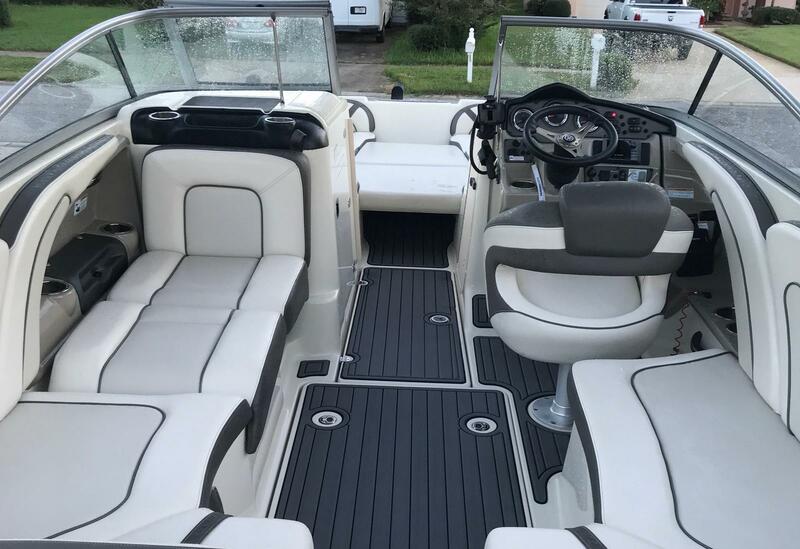 Price also includes trailer and include a watersport and entertainment package, including 2 lightly used Yamaha Wakeboards, a 3 person sports tube with tow line, 3 Yamaha watersport vests, wakeboard tow line, Magma Stainless steel grill, and secondary anchor and line! 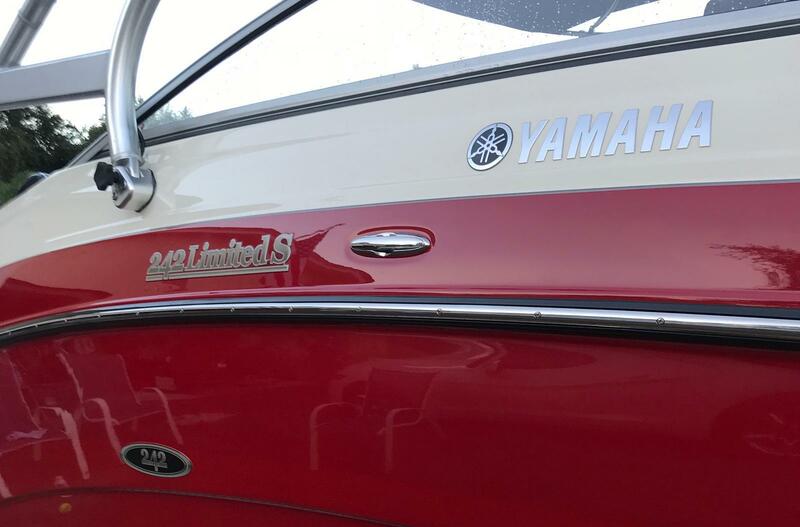 For those who know a boat is one of life’s necessities. 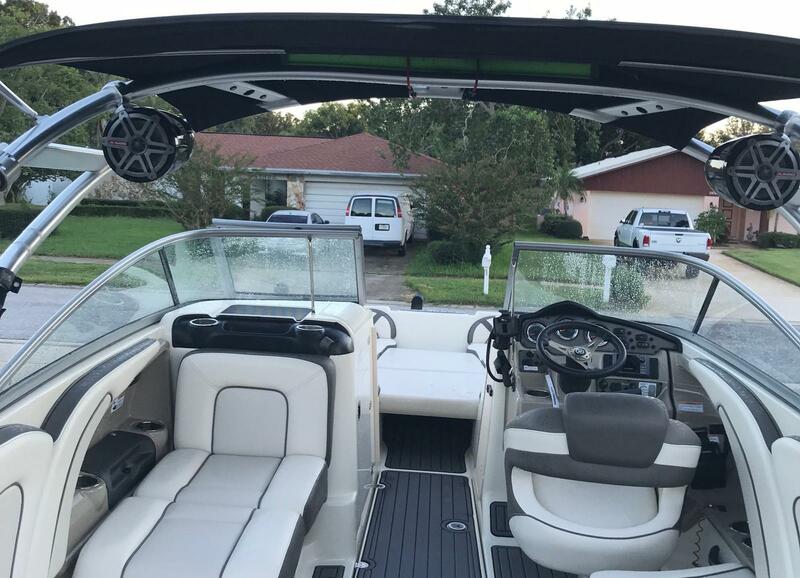 Tower: The forward-swept folding tower adds a distinctive styling touch and features integrated LED cockpit lighting. 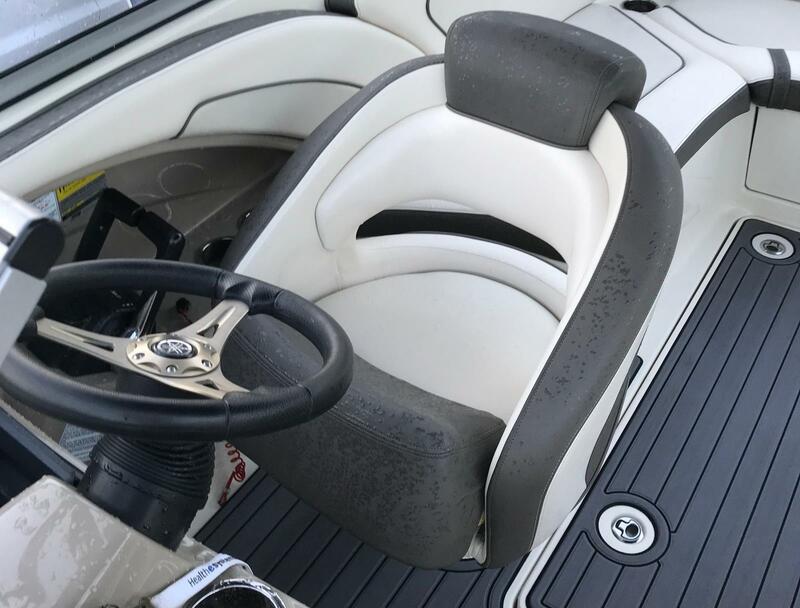 Bow Seating: The plush bow provides a variety of seating options that provide exhilarating views of the water. 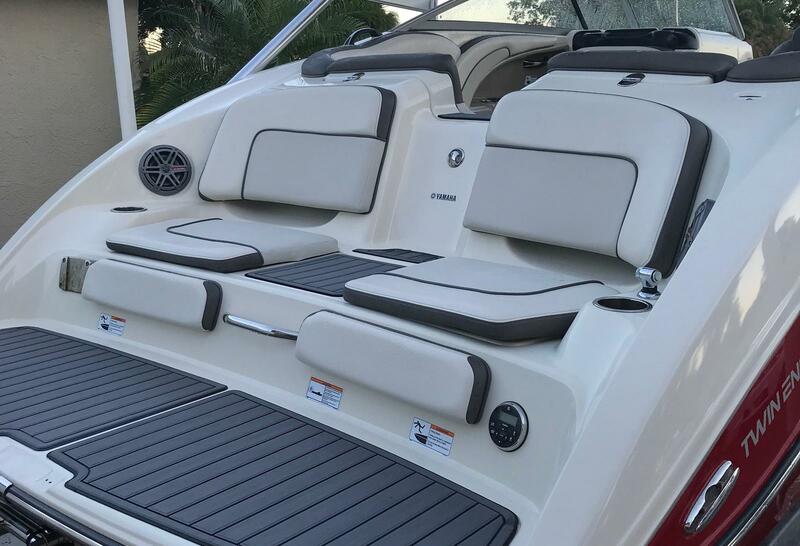 Lounger: Adjustable, convertible lounger with the option to sit or recline while anchored. 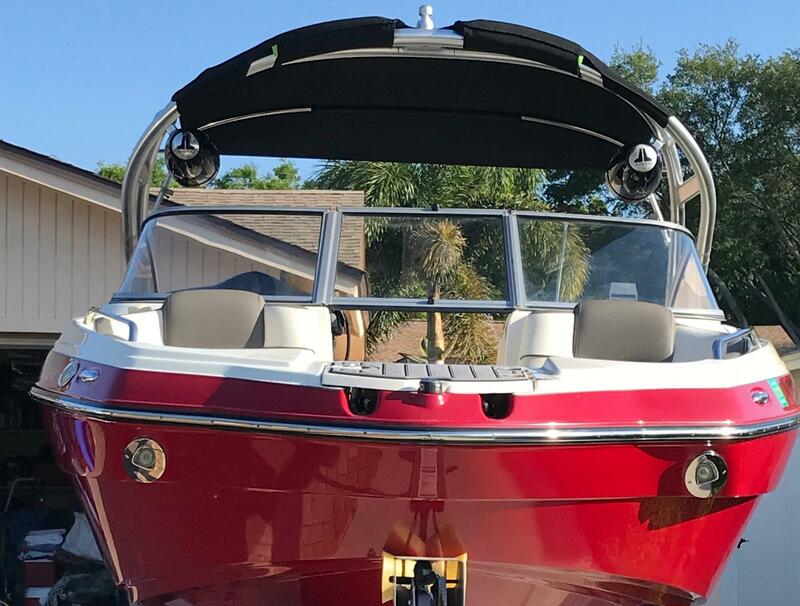 Enclosed Head Compartment: The upholstered and lighted head compartment offers absolute privacy and plenty of space for stowing extra gear. 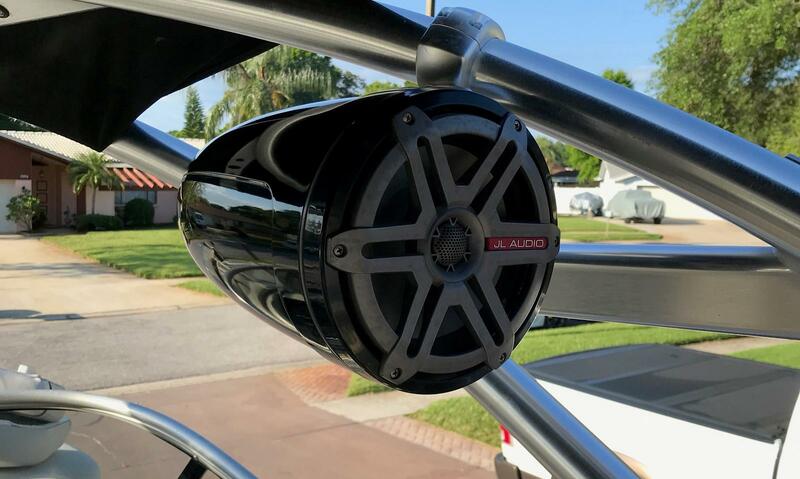 Stereo: Featuring an easy-to-read display, this fully integrated system features Bluetooth streaming capabilities to enhance your listening experience. 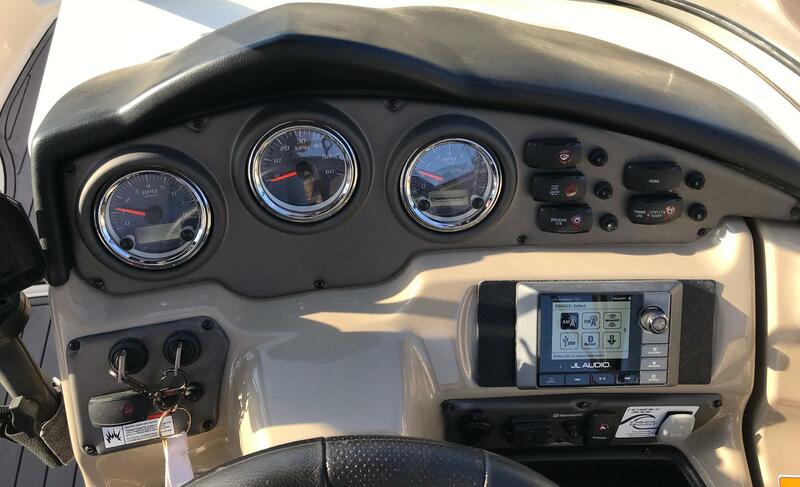 Helm: At the helm, navigation is a pleasure thanks to state-of-the-art gauges and Yamaha-exclusive innovations. 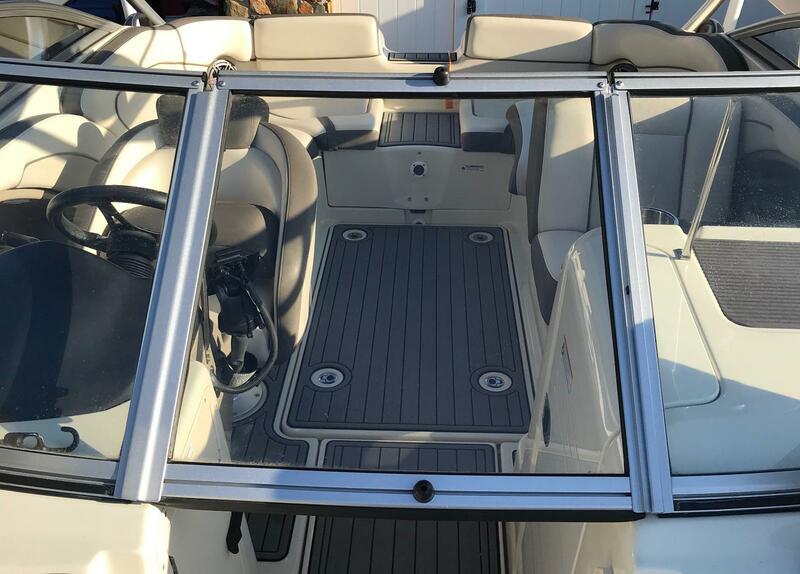 Swim Platform: The two-tiered lounge is well-appointed with padded seats, hydroturf mats, stainless steel cupholders, a freshwater shower and a side mounted dinette table.